Whitby is a place for all seasons and dramatic, changing landscapes. Visit our iconic Yorkshire heritage coastline for vast beaches and great swathes of vibrant North York Moors National Park. 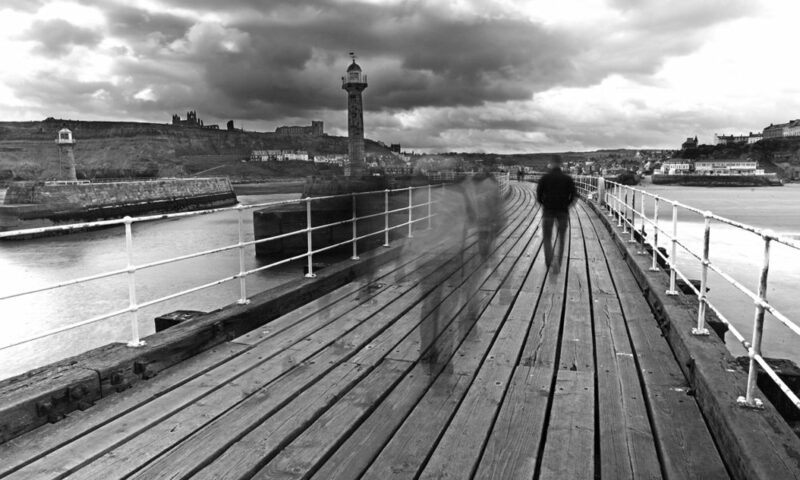 Whitby is a seaside town rich in history and modern folklore. It’s where you’ll find red tiled rooftops of Whitby cottages tumbling pell-mell down the hillsides to the pretty harbour below. It oozes unspoilt charm and nostalgia from every nook and cranny and, if it hasn’t already, will capture your heart forever. Set in the borough of Scarborough, close to Robin Hood’s Bay and Sandsend, Whitby is divided in two by the bustling River Esk estuary. The historic East Side is where you can meander the maze of narrow, cobbled lanes and winding alleyways. Or climb the famous 199 Steps to the gothic ruins of Whitby Abbey – the inspiration behind Bram Stoker’s Dracula. Discover gourmet food stores and old-fashioned signs for independent shops selling Whitby Jet jewellery and crafts. The thriving harbour is where fishing boats pepper the quayside and land their catch for the open-air market, restaurants and award-winning fish and chip cafes. Book a holiday cottage here to be close to Whitby train station, the West Cliff and the Whalebone Arch, sandy shores and rows of colourful beach huts. There’s a wealth of attractions and guided tours too to make you want to keep visiting Whitby time and again.